With today's hectic lifestyles, it can be hard trying to fit everything in and still look your absolute best. We've selected nine of our most popular treatments that you can just turn up to, whenever it suits you - no booking required. 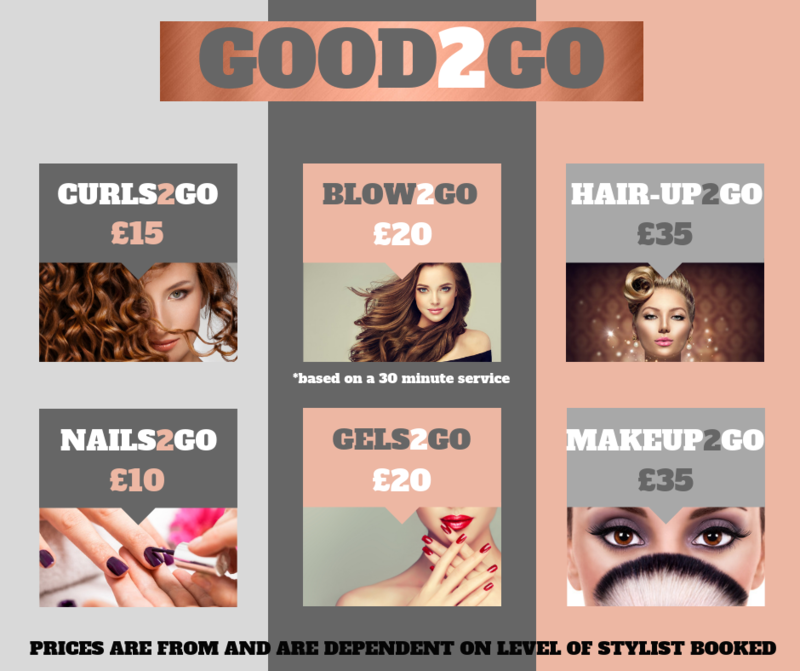 With quick, high quality service at affordable prices, you'll be GOOD2GO in no time! NAILS2GO nails may take upto an hour to dry. We will not take any responsibility for chipping, flaking, smudging after this time.